Written by guest blogger An Tuan Nguyen. Southern California, May 2012: Standing in a parking lot of a motel where I stayed for several weeks during one of my field visits were three young informants and I. 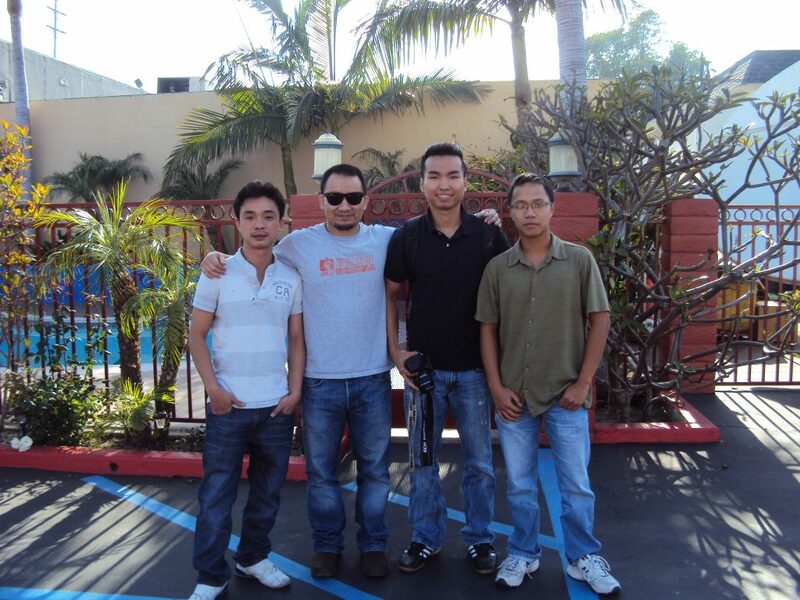 All three of them were my former students in Ho Chi Minh City between 2008 and 2009. They also introduced many other informants to my project. My article “Global Economy, Citizenship Pluralism, Transmigrant Mobility, and the Sojourn-Immigrant Vietnamese Americans” in Diaspora is a part of a large and comprehensive ethnographic project that started in 2010 during my time in graduate school and is continuing until now. Unlike most scholars in the field of Vietnamese American studies, I came to the United States as an international graduate student and am still a [proud] Vietnamese national. My background profoundly shapes my perspective and decisively helps me probe Vietnamese America from different angles. Whereas this ethnography was mostly written in a small Midwestern college town, the research was conducted in multiple ethnographic sites from Vietnam to the East Coast, the Midwest, the South, and, of course, the beautiful state of California of the West Coast USA. I deliberately extended my project to include trans-community, trans-state, and transnational focus. The various ethnographic sites were intended to provide more comprehensive and inclusive analyses of the varied Vietnamese American/immigrant lived experience. In a tiny college town, I did not live in an actual Vietnamese community. Therefore, such fear did not affect me. I, in fact, lived in an imagined community, to borrow Benedict Anderson’s term. [iv] My status, however, switched accordingly in each site. During my field research in areas of strong anticommunist fevers such as Dorchester, Boston, MA and Little Saigon, Orange County, CA, I was embraced by my entrepreneurial participants as a teacher (many of my informants were my former students, their parents, relatives, and friends) who attentively listened to their lamentations, confusion, and hopes in the foreign land. To the professional informants in many smaller cities, I was a fellow Vietnamese who was predictably following their trajectory: coming to America, striving for an education, and aspiring to be a researcher and a teacher at a US postsecondary institution. I was not a stranger ethnographer who arrived in a community, lived with the locals for years, learned their language and culture, and wrote a book. Neither was I an ethnographer who explored the local community and claimed my “insider” status to conduct a research. I was a site-hopper whose length of stays, ethnographic methods (including observations, participations, and interviews), and sometimes, means of survival, relied heavily on the goodwill of my people: the Vietnamese immigrants who trusted me with the job of telling their stories; the stories that otherwise would not be told and heard. Although their real names can never be revealed in any of my publications, by participating in the project, their bravery and willingness have rendered possible this article and will continue to shape other publications in the future. They in fact have taken all the risks while I took none; and for that I am forever grateful and indebted. An Tuan Nguyen teaches in the Asian American Studies Center at the University of Houston. His research interests focus on how histories of Asian immigration forged the making of Asian American ethnic enclaves and identities and how globalization reconceptualized such communities and identities. His past and current research are community-based projects that explore the lived experience of contemporary Vietnamese immigrants living across the country in their socioeconomic struggle, political empowerment, cultural identity negotiation, and globalized transnationalism. His articles have appeared in DIASPORA and Journal of Vietnamese Studies. Amongst several other projects, Nguyen’s book manuscript entitled “Luggage to America: Professional, Entrepreneurial Immigrants and the Twenty First Century Vietnamese America” is under final revision. Read his article “Global Economy, Citizenship Pluralism, Transmigrant Mobility, and the Sojourn-Immigrant Vietnamese Americans” in Diaspora Volume 20 Issue 2, free for a limited time here: https://doi.org/10.3138/diaspora.20.2.002. [i] Kieu-linh Caroline Valverde, “Creating Identity, Defining Culture, and Making History from an Art Exhibit: ‘Unfinished Story: A Tribute to My Mothers,’ Crossroads: An Interdisciplinary Journal of Southeast Asian Studies, vol. 19, no. 2 (2008): 60. [ii] Thuy Vo Dang, “Anticommunism as Cultural Praxis: South Vietnam, War, and Refugee Memories in the Vietnamese American Community,” (PhD diss., University of California, San Diego, 2008): 220. [iv] Benedict Anderson, Imagined Communities: Reflections on the Origin and Spread of Nationalism, (Verso, 2006). This entry was posted in Author Blog, Journals and tagged Vietnamese diaspora, transmigrant mobility, sojourn-immigrant, Diaspora, citizenship pluralism on April 12, 2019 by Amber Dilabbio.